Sunday is a good day to save money. Bonus: Grab Injustice: Gods Among Us for $35 from Toys R' Us. That's a full $25 less than anyone else is selling it for, and the deal applies to the PS3 and 360 versions as well as the Wii U version. $5 shipping. Here's the Kotaku review. Last week Origin launched a huge action game sale, and then Green Man Gaming turned around and topped them on several of the games that were discounted. Now Square-Enix, GOG, and Gamefly are getting in to the act, but in this case with some decidedly retro, indie, and otherwise impulse price point titles. Incoming deals on several of the biggest releases in recent months, dive in. We'll pick a few of the best options from each sale. 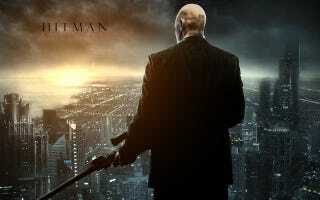 • Hitman: Absolution [Steam] ($7.50) | This beats both the Green Man Gaming and Origin sale prices. Professional Edition is $10. • Classic Deux Ex Games are discounted. We've highlighted just a few good picks, but there's more to be found in all three sales so start digging. See you tomorrow at 2:15pm EST for the full Moneysaver roundup. Friday's Moneysaver is still going strong so check it out. Welcome to the new Moneysaver, now brought to you by the Commerce Team every weekday at 2:15pm EST. We're here to bring Kotaku readers the best gaming deals available, and to be clear, we also make money if you buy. We want your feedback.